Shard Keychain Tool. The Gerber Shard model 22-01769 is just a small flake of metal with lots of functionality. This small tool fits in your pocket or on a keychain. It weighs less than one ounce and has philips and flathead screwdrivers, a pry bar, a nail remover, bottle opener, can opener, and scraper, to name just a few of its uses. 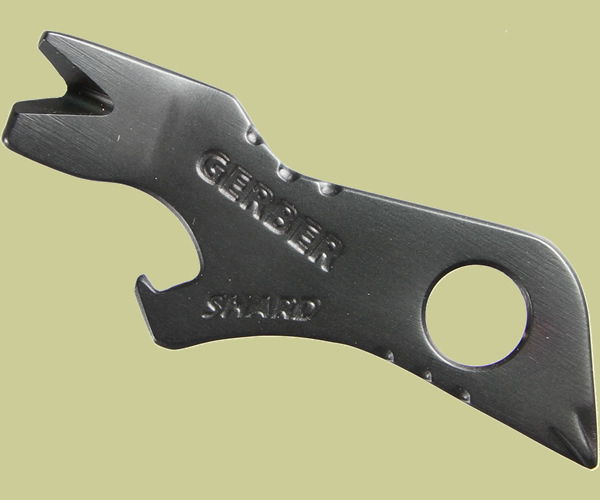 The Gerber Shard is a tool you can bring on the plane without worry that it will be taken from you.